ASPEN – Pitkin County commissioners on Wednesday bounced around ideas for regulations on growing and selling medical marijuana in unincorporated areas of the county, but reached no firm decisions and said the issue needed further study. Commissioners appeared to look for a strategy that relies on common-sense regulation without suffocating the industry. They discussed distance minimums between growing operations and allowing marijuana to be grown only in enclosed buildings as measures that would cut down on extreme odors wafting from the plants into neighborhoods. They also spoke of the possibility of dispensaries and growing operations being targets for burglaries, potentially bringing a crime into unincorporated communities. And they pondered whether new medical marijuana laws adopted in other counties, such as Boulder and Summit, would lead to a large influx of growing operations in Pitkin. 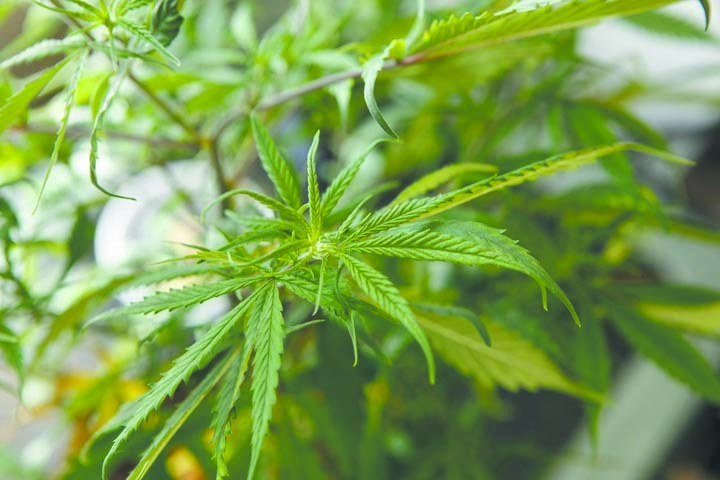 The discussion was prompted by last year’s state medical marijuana legislation that says the county has until July 1 to adopt regulations that are more specific than state rules, should that be the route local officials desire. Last fall, commissioners asked the county’s Community Development Department to seek input from local groups. During Wednesday’s meeting, Lance Clarke, assistant community development director, reported that most caucuses around the county did not have any overwhelming concerns. An exception was the Redstone Community Association, which clearly stated that dispensaries should not be allowed on Redstone Boulevard. Clark wrote in a memorandum to commissioners, and reiterated at the meeting, that it’s likely that the lack of concern is due to the fact that there are only two dispensaries and a half-dozen growing sites in Pitkin County. Any impact on communities or neighborhoods so far has been slight or barely traceable. A state constitutional amendment passed in 2000 allows medical marijuana. While it has been accepted in many areas, 17 counties have voted to prohibit the industry outright. In recent months, some local governments around the state have passed new limitations on the industry, sparking lawsuits from the affected businesses. Commission Chairwoman Rachel Richards pointed out that since medical marijuana patients are allowed to grow their own plants, heavy regulations on growers and dispensaries might lead to a situation in which the county has little control over enforcement. “There’s a point at which you can get so heavy on your regulation that every patient becomes a grow operation for themselves, within their own home, in multiplexes and in ways that we would have absolutely no regulatory breach,” she said. Too many regulations can have a “balloon effect,” she said. “You squeeze it here, it very well might come out somewhere else where you don’t want it,” Richards said. She also asked commissioners not to overlook the revenue potential that licensed, regulated dispensaries provide. Some municipalities, such as Longmont in Boulder County, have voted to craft an ordinance that bans all dispensaries, citing federal law that still recognizes marijuana as an illegal substance. What the county should seek to avoid, Richards said, is a scenario in which thousands of patients around the county are growing plants within their homes. “The sense to me is that this is far better off to the public as a regulated and upfront business than occurring in people’s basements, garages or spare rooms,” Richards said. On the question of whether the county should get involved in background checks of those seeking a license for growing operations or dispensaries, Commissioner Jack Hatfield agreed with most of his cohorts that state agencies are better equipped and experienced. “I don’t think we want to get involved on that level,” he said of background investigations. Hatfield said the county should not make its rules so restrictive that growers find it hard to exist. He suggested that the county could conduct a “special review” of operations that are located within certain neighborhoods to ensure minimal impacts. Commissioner Rob Ittner said he supports the state constitutional amendment passed 11 years ago and said the county should honor its intent. “We need to find ways to accept it here in Pitkin County and I don’t think we should go to the strength of the regulations in our neighboring counties,” he said. However, Ittner acknowledged public concerns about issues such as a potential rise in crime and the possibility of “backdoor sales” by growers. “How do we make sure that they are not selling legally to their dispensary and [also] selling illegally to the schoolyards?” Ittner asked. Richards said dispensaries and growing sites shouldn’t be singled out as possible hotspots for crime. “Crime is unfortunate in society on any number of levels,” she said. “When we all think back to the New Year’s Eve bombing exploitation that happened here a couple of years ago, it’s because banks have money in them. Commissioner George Newman said the county needs more feedback from the public before embarking on a set of new regulations.